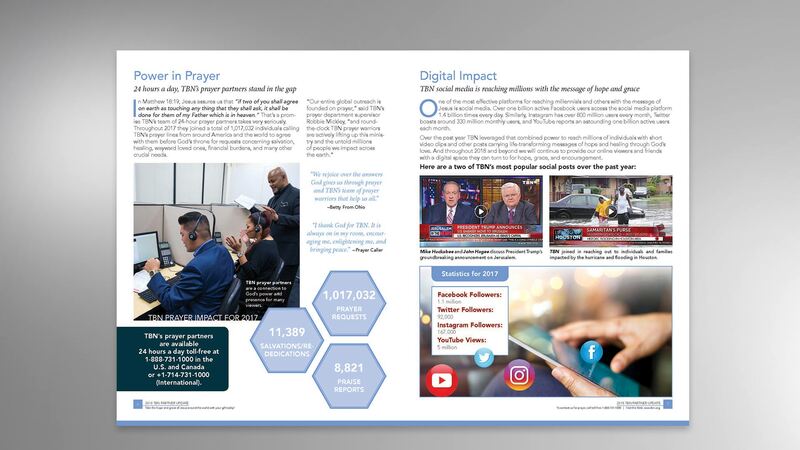 The team at Relay Creative Group has been designing and producing our digital Annual and Quarterly Reports to partners and doing a tremendous, professional job of it. We love their creativity! They always deliver on-time. Trinity Broadcasting Network(TBN) is an international brand with over 30 networks that span the globe. The leader in relevant, wholesome family content broadcast in HD and over-the-air by satellite around the world. 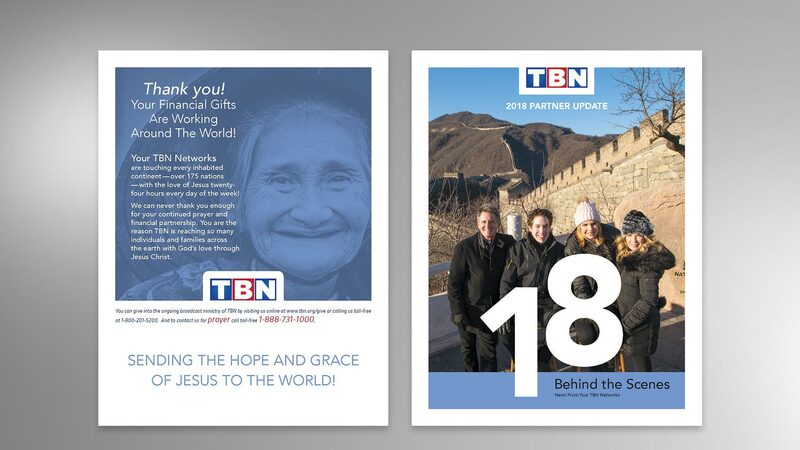 Relay Creative Group has been serving TBN at the executive level since 2005. 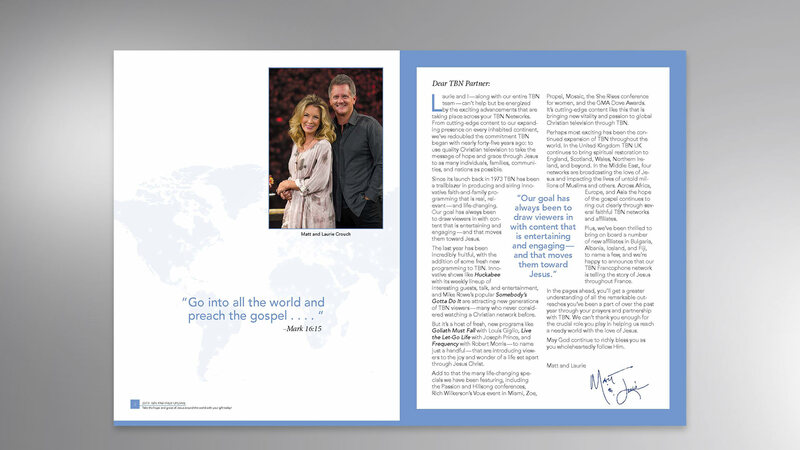 We have served creative roles for international newsletter in both print and digital formats, as well as brand publications like this partner update that is distributed annually to partners and constituents around the world. 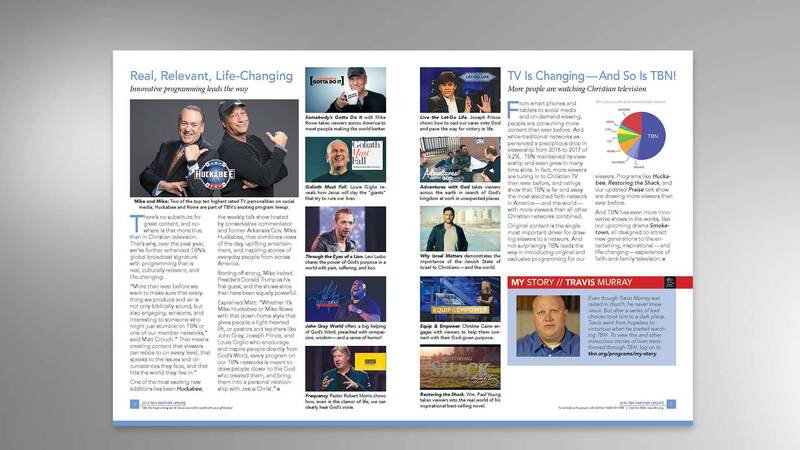 This report highlights advancement in China, Israel, the creation of tons of relevant content and major faith-based conferences in North America and abroad. 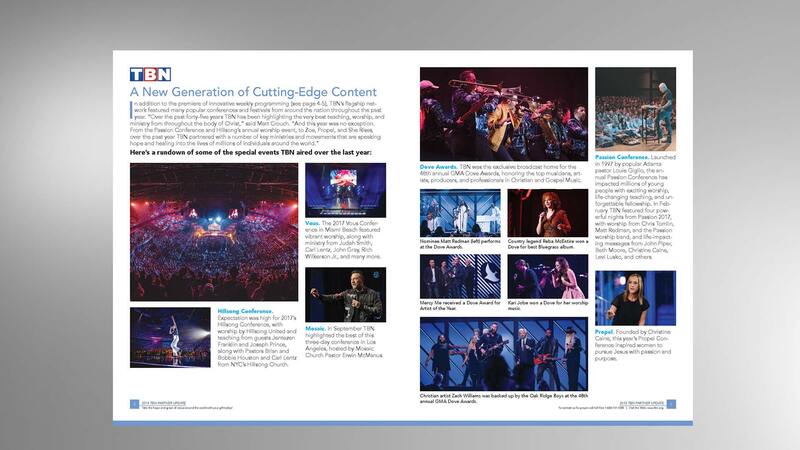 This newsletter is created with Adobe publishing tools and exported and formatted to flipbook technology, allowing rich media and hyperlinks. Watch a video embedded on the page or visit a recommended website.